So, I got eliminated from the Fabric Mart Fashion Challenge 2. First things first, thank you for your support and all of your kind comments. :) I really appreciate it. 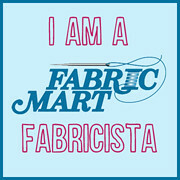 I’m a little sad, and it was really an interesting contest to partake in (thanks for picking me, Fabric Mart! ), but I’m also happy that now I’ll get to go back to making what I want to make. Though, it again makes me wish that I had gone the safe route with a knit piece of clothing, because knits are easy to fit and, IMO, provide much more predictable results (and I have a couple of almost TNTs that would’ve worked well). However, what’s done is done and the complexity of the garment wasn’t taken into account in judging, as far as I know. I also don’t feel that my garment was the worst fitting (I do know it has some issues), but that’s subjective and I’m just a tad biased, and half of the scores are based on a vote from the general populous, so if you have more readers, you pretty much automatically get a better score. 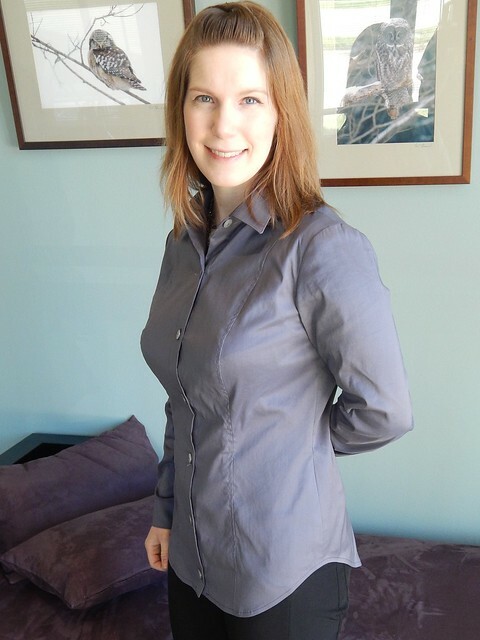 So, I finished my second garment of Fabric Mart Fashion Challenge 2! So excited to make it on to round 2! This week was about making a well-fitting garment. 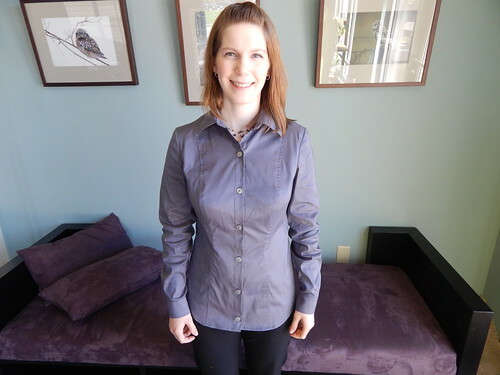 I made Butterick 5678, which I believe recently went out of print. Hey folks! 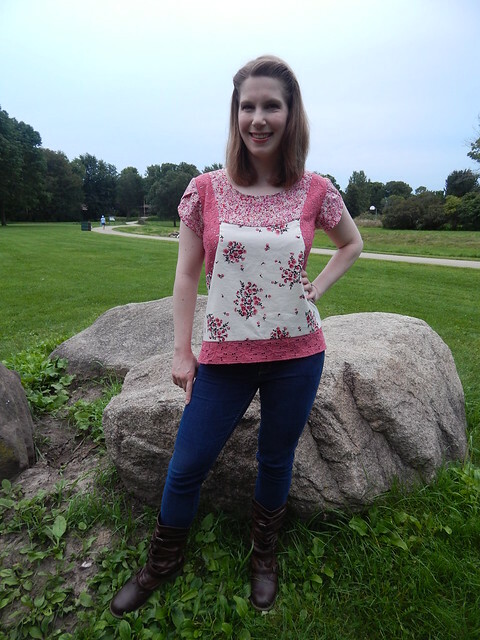 Thanks for all of your awesome comments on my Scout Tee for the Fabric Mart Fabricista Fashion Challenge 2! 2. 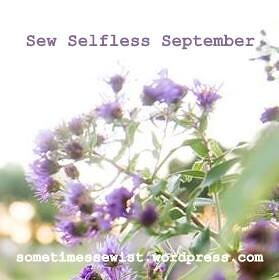 I haven’t forgotten about Sew Selfless September! It’s near and dear to my heart; keep your eyes peeled for a couple of related posts this weekend. 3. 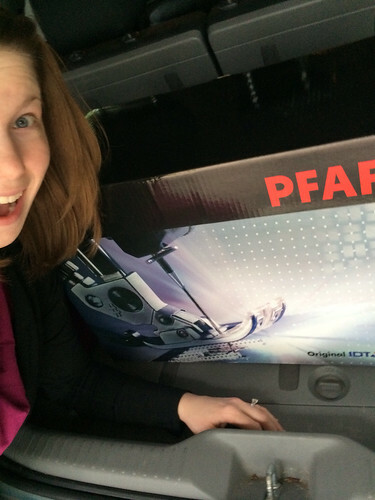 I had some gleeful excitement on Tuesday evening…I decided to jump on a fabulous deal a couple of weeks ago, and was able to pick up my NEW SEWING MACHINE this week! I’m sew (LOL gag. I know, I know: I did it in the title…) so excited to use IDT with my sewing projects and have tons of new pretty basic embroidery options that I may or may not use, but will definitely be exploring. More on my new machine later! Here’s a link to the nitty gritty of the challenge. Cliff notes: make the Scout, but make it special. Embellish it, make it your own. 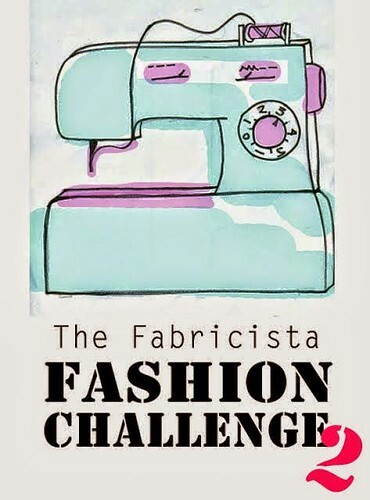 I’ve been chosen to compete in Fabric Mart‘s Fabricista Fashion Challenge 2! Fabric Mart is my favorite online fabric store, if you couldn’t tell from all of the references in my completed garment posts, and I am so excited to be a participant! 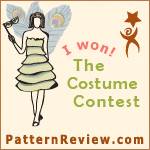 Other notables include Ann from Sew Baby, who won Pattern Review’s Mini Wardrobe contest (and rightfully so!) and Nakisha from Sew Crafty Chemist, who I also happen to be meeting in person tomorrow! Yay! I’ve not run into the rest of the ladies competing before in the blogosphere, but look forward to seeing what we all come up with. 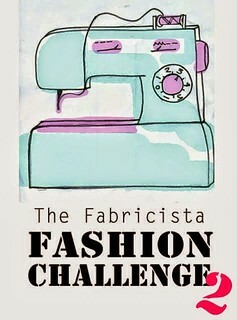 The first challenge will be announced September 5th, so keep an eye on Fabric Mart’s blog to see all of the action. With the Fashion Challenge, my September won’t be quite as selfless as I envisioned, but it is too fun of an opportunity to let pass by.